A private residential land parcel at Stirling Road have finally been triggered for sale under the Government Land Sales (GLS) programme, after being on the reserve list for the past 7 years. The triggering bid was committed at a minimum sum of $685.25 million, which works out to be around $718 psf ppr, based on the plot’s massive gross floor area (GFA) of approximately 954,336 sq ft. According to the Urban Redevelopment Authority (URA), the 99-year leasehold site is situated within close proximity to the Queenstown MRT Station and is big enough for around 1,110 new homes. Market watchers are expecting a total of 6 to 14 developers to bid for the site and a top bid coming in the range of $830 to $954 psf ppr. The 227,118.5 sq ft site at Stirling Road was first released back in March 2010 under the Reserve list, and such listed sites are only triggered for sale upon receiving a minimum bid amount that is deemed acceptable and fair to the government. It was being mentioned that one of reasons why the site took a long while before someone shows a concrete expression of interest, is due to the vast land size and the amount of investment outlay – despite the site being well-located in a matured residential estate with schools and and amenities nearby. 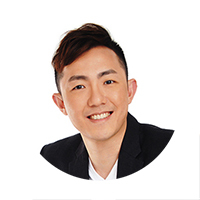 Property analysts have also added that the positive sentiments and take-up rates in recent new launch projects this year, possibly giving developers that much-needed confidence to boost their portfolio. As for the eventual selling price for this future new launch at Stirling Road, it is likely to take reference from the nearby Queens Peak and Commonwealth Towers, which are selling at an average psf price of $1,640 and $1,654 respectively. With the limited supply of land under the Confirmed list, the tender of the Stirling Road site will likely attract major developers and consortiums. It’s believed that these developers’ interest for the site may be tempted by a few upcoming projects within the precinct, which includes Tang City Holdings’s Artra at Alexandra View (next to Redhill MRT station) and the land parcel at Margaret Drive which was recently sold under the GLS programme. Market watchers have also cautioned that property developers may be putting their focus on sites under the current Confirmed list instead, due the amount of supply in the Redhill/Queenstown area. 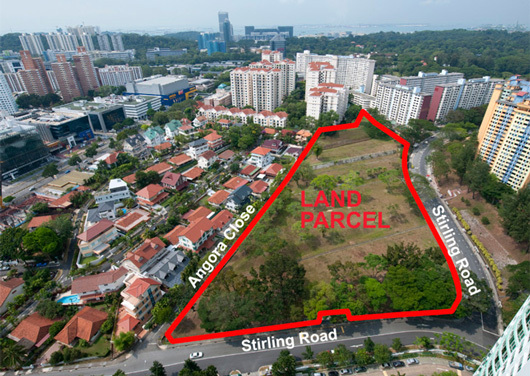 The Stirling Road site will be officially launched for sale in 2 weeks’ time, mentioned by URA.